Insurance brand teams with Weather Channel for an effort through this weekend. Since there’s a chance of rain in the forecast, pro golf fans in Cromwell, CT this weekend will likely stare down at their Web-enabled handheld devices between intermittent peeks at the sky while discerning if their umbrella will soon be needed. And if they use The Weather Channel’s app, they’ll be greeted by Travelers’ trademark red umbrella logo via a geo-targeted promotion. Compared to the glut of sports advertising that generally disrupts the action, the effort almost smacks of a little serendipity. Indeed, the insurance brand looks to add some digital zing to a sizable integrated effort centering on the Travelers Championship, a PGA Tour event that runs through Sunday. Travelers has struck an advertising deal with The Weather Channel (TWC) to home in on the 250,000-some people expected to be in attendance. Consumers in the Cromwell area will be targeted based on either the zip code they’ve registered on their phone or, in the case of iPhone and Android users, by the latitudinal and longitudinal coordinates accessed through the app on their devices. Smyrna, GA-based TWC says it has 30 million monthly active smartphone users for its app. 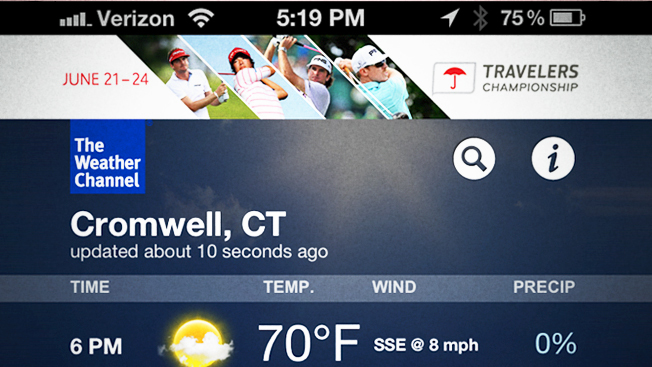 People using the media company’s iPad app will also see ads for Travelers if they've registered a Cromwell zip code. In terms of creative, the ads appear similarly to a banner ad or masthead at the top of TWC’s mobile pages. “This is new for us with this tournament,” said John Morris, VP of advertising and media for Travelers, a Hartford, CT-based firm that has sponsored this PGA event since 2007. 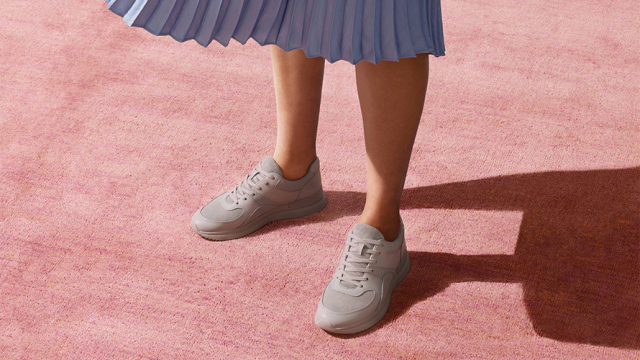 The larger campaign involves TV spots during the tournament’s broadcast on The Golf Channel and CBS, as well as local radio commercials and earned media messaging via the brand’s pages on Facebook (9,700 fans) and Twitter (10,400 followers). Through every channel, Morris said, Travelers is encouraging donations to The Hole In The Wall Gang Camp, a Connecticut-based children’s charity. “We’ll be tweeting about the charity from the tournament all week,” he said.